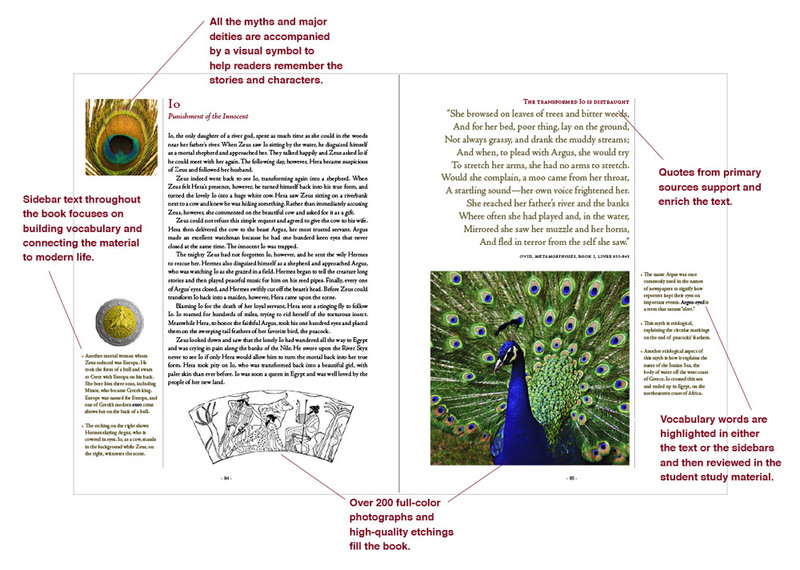 Over 100 full-color photographs and 100 high-quality etchings fill the 250-page book. 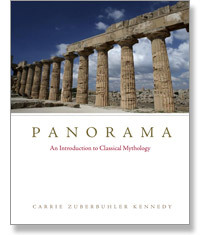 An introductory chapter presents the common themes in world mythology. A second chapter provides concise histories of ancient Greece, ancient Rome, and the European Renaissance. An in-depth chapter on classical origin myths includes detailed "biographies" of the Olympians and more than 20 other prominent deities. A core chapter organizes 25 myths into six thematic units, making them easier to remember and discuss. A hero chapter includes the stories of Perseus, Theseus, Jason, and Heracles. Two chapters provide extensive background information and clear retellings of Homer's Iliad and Odyssey and Virgil's Aeneid. Sidebar text throughout the book focuses on building vocabulary and connecting the material to modern life. Over 35 quotes from primary sources support the text and include Hesiod's Theogony, Ovid's Metamorphoses, Homer's Iliad and Odyssey, and Virgil's Aeneid. All the myths and major deities are accompanied by a visual symbol to help readers remember the stories and characters. 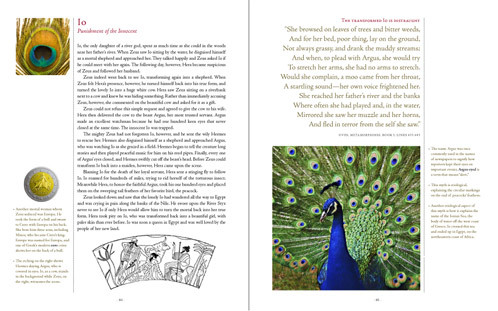 A glossary of mythological names includes over 250 entries, each with a thorough description and a clear pronunciation guide. A complete index makes the book an invaluable resource for research. A 130-page Teacher's Guide provides key points, summaries, comprehension questions and answers, and vocabulary definitions for each chapter. Each chapter of the guide also features several "To Consider" sections, which offer activities geared specifically toward creative instruction and assessment. The Teacher's Guide provides a code that allows teachers and homeschooling families to download over 100 worksheets and activities from Clew Publishing's website.